1. Peel off eggplant, salt it a little bit and sprinkle with Kotanyi spice ‘Herbes de Provence’. Leave it for a few minutes. 2. Cut meat in small cubicles, sprinkle with salt and “Herbes de Provence’ and roast on little bit of oil. 3. Add pepper (cut in small peaces) to the meat. Roast for a few minutes. 4. Grill eggplant. When done, put it in the baking dish, cover with meat with pepper and again eggplant – if left any. 5. Topping : mix egg, sour cream and yogurt. Pour over moussaka. 6. Bake on 200’C, about half an hour – until gets nice colour. 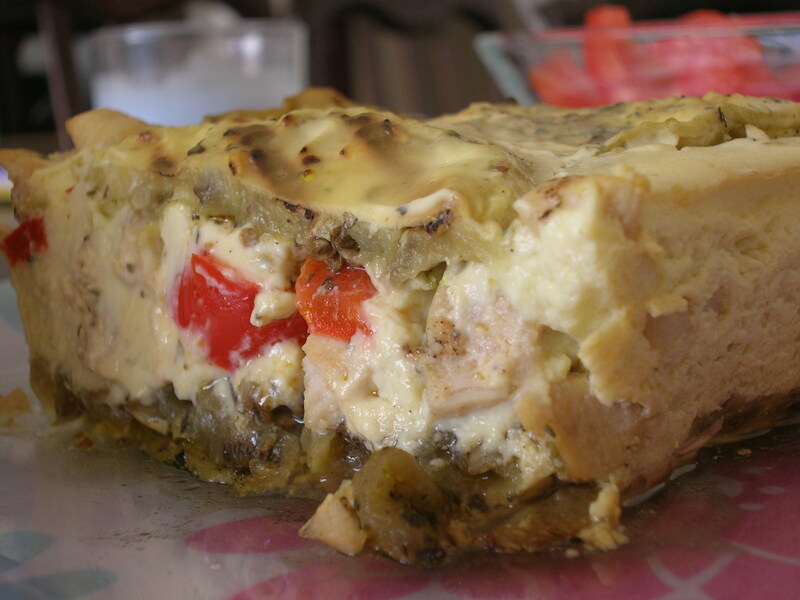 Posted in Ručak / Lunch and tagged chicken, courgettes, eggplant, lunch, moussaka, musaka, patlidzan, piletina, rucak, tikvice. Bookmark the permalink.